Burning Ambition is set to return to action this weekend at the Loughanmore point-to-point. Eighth when sent off favourite for last season’s St James’s Place Foxhunter Challenge Cup at the Cheltenham Festival, Burning Ambition has since had a wind operation. The Foxhunters’ at Aintree is his likely long-term target, and Pierce Power’s seven-year-old is set to begin his new campaign at the County Antrim venue on Saturday. Power trains near the infamous Loftus Hall in south Co Wexford, reputedly Ireland’s most haunted building. He said: “The plan is to run him in Loughanmore on Saturday. It’s been the plan since he came back in – we had a look at the fixture list and thought it would slot right in. Power expects Burning Ambition to improve for the run. “He is getting that little bit older now, and is a bit wiser to his work, and we’ve left a bit on him to work with. “I think he will do himself justice on Saturday, though. “It looks a nice race. There are plenty of nice horses in it, but you’d hope he’ll be able to put it up to them. Cheltenham will also be on the agenda again. 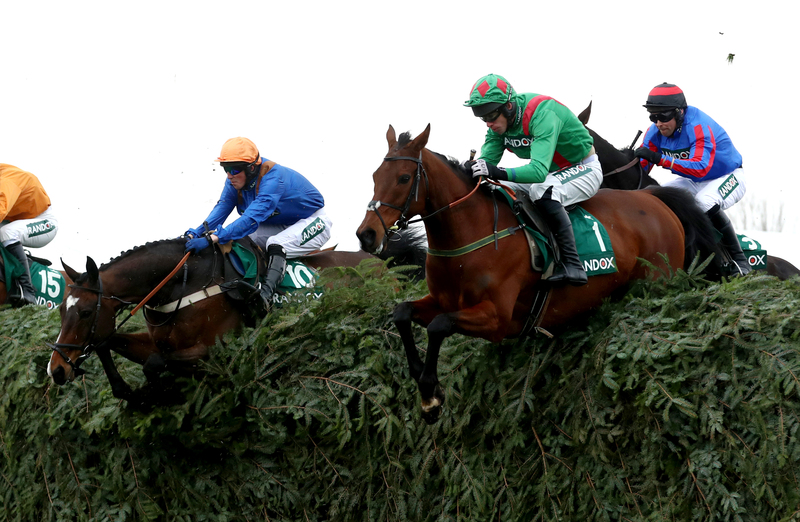 “All being we’ll, you’d have to think about the two big ones (Cheltenham and Aintree),” added Power. “Aintree would be at the foremost of our mind. We think the fences and the trip will suit him. “We had planned to go to Aintree last season after Cheltenham. Everything seemed fine, he came out of Cheltenham grand, but then we worked him before Aintree – and it turned out that he needed a wind op. Burning Ambition was not alone in finding conditions tough at the Festival. “Cheltenham last season, over three-and-a-quarter-miles on real dead horrible ground, probably did just catch him out,” added the trainer. “If we thought the ground at Cheltenham was going to be nicer, we’d definitely be considering it. “Even in the Gold Cup they were struggling to get home on that ground. It’s not usually like that – so I hope it was a once off.